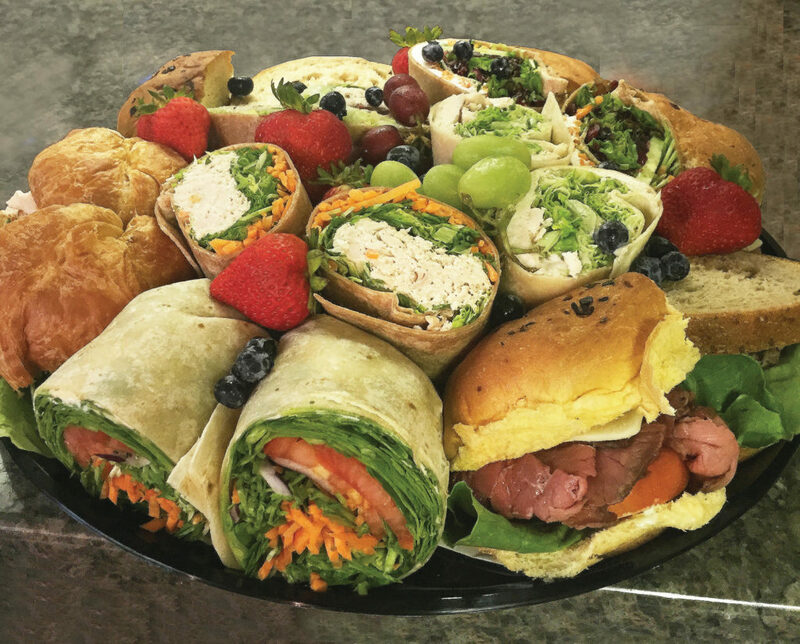 A selection of classic and seasonal specialty sandwich wraps with chips & pickles. .
Mixed field greens with cucumbers, tomatoes, carrots, pea shoots, dried cranberries, walnuts. roasted red peppers and goat cheese.